Love this earthy combination. 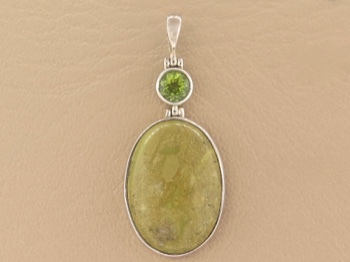 Our very own St John Opal paired with a small but fiery faceted peridot round. 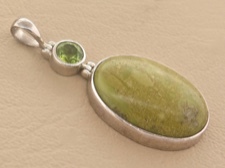 Set in smooth sterling silver with a hinged bail. Each one is a one of a kind creation. These unusual stones are found on remote St John beaches and collected by Caravan owner Radha Speer. 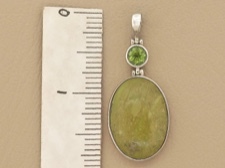 Carefully polished into lovely cabochons then set in sterling silver. Literally a piece of the rock!